The Museum of Dartmoor Life’s three galleries reveal a fascinating history of 5,000 years of Dartmoor and its people. From prehistory to the 20th century, explore the history of Dartmoor through objects, oral history, photographs and film to see how Dartmoor has become the landscape that we see today. Please contact the museum to book your visit and to discuss any particular requirements. The admission charge for the children is £2 per child. There is no charge for adult helpers. 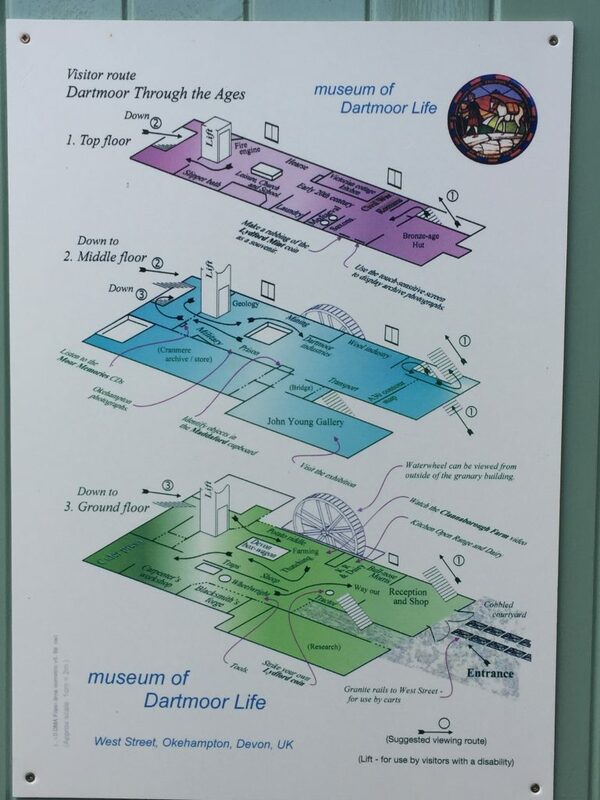 Find information on how to get to the Museum of Dartmoor Life and coach drop-off points in our Getting Here section. We have a small car park that can accommodate minibuses – please enquire about this when you book your visit. Please ensure children are supervised at all times throughout the museum. Schools and children’s groups are responsible for ensuring they have the correct staff-to-children ratios. All of our activities are risk assessed but further information can be given when preparing risk assessments for your visit. There is level access to the museum – however, please be aware that this is over a cobbled walkway which continues throughout the ground floor of the museum. There is an accessible toilet on the ground floor of the museum and a lift to the floors above. We can provide tables and chairs in our gallery where children can work in small groups whilst at the museum. We can accommodate up to 50 children (sitting on the floor) in our gallery to eat their packed lunches whilst visiting the museum. There is also some limited outdoor seating in our courtyard but please note this is also open to the general public so cannot be guaranteed. Our staff will provide you with a visitor map on arrival to help guide your visit. You will also be shown to any pre-booked resources and the children’s activities as required. You are welcome to take photographs and post them to social media as appropriate.